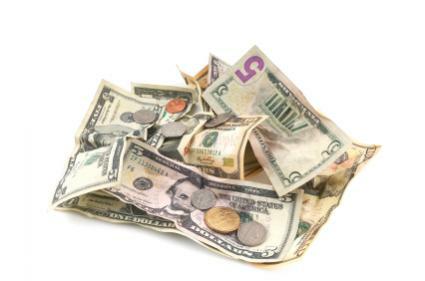 Collecting alimony payments may not be easy. Whether a former spouse is entitled to alimony, also known as spousal support, will depend on a number of factors. Whereas in the past, a former spouse may have been able to collect support indefinitely, this is no longer the case. The idea behind awarding alimony is so that the former spouse can still have the same type of lifestyle they had before the marriage broke down. The spouse receiving the payments does have a duty to become self-supporting at some point, where feasible. In the case of a person who was married for many years and who was a homemaker, however, this may not be a realistic goal. Either spouse can receive alimony, which means that men can collect alimony payments as well. This is becoming more commonplace as women continue to achieve greater success in the workplace and in running their own businesses. If alimony is awarded, it may be paid over time or given as a lump sum payment. The judge may set a firm date when the alimony payments are to cease, or order that payments will continue until the payor dies or the recipient co-habitates, remarries, or passes away. Temporary support may be ordered while the couple is separated and the issue revisited during the divorce hearing. The person making alimony payments may also be required to pay a certain amount for the recipient's attorney's fees, but this amount would be at discretion of the judge in the case. Even if a former spouse is deemed entitled to alimony payments, it doesn't necessarily mean they will be able to collect the full amount. According to a poll conducted by Divorce360.com and reported on by Fox News, only about one-quarter of all divorced people who should be receiving alimony payments and/or child support receive the full amount ordered. Almost 30 percent of people who were awarded alimony payments get a portion of the amount they should be receiving. The poll also found that 14 percent of people who should have been receiving alimony payments have given up trying to collect the money owed to them; only six percent were still fighting for the alimony payments they are entitled to. If you are contemplating a divorce or are in the midst of one and have questions or concerns about alimony, do consult an attorney. Whether one spouse is entitled to alimony is decided on a case-by-case basis. Your lawyer can give you specific advice for your situation.